Usually pre-semester dreams are full of dread and stress, but this morning I woke up feeling like I might actually have gotten something good from my brain’s nocturnal wanderings. At the risk of subjecting myself to armchair psychotherapy by revealing more about my subconscious than I might have intended, here’s how it went down. I dreamed I was driving into the parking lot of my old junior high / high school. It’s a behemoth building, like a gigantic suburban mall. In real life it’s since been wonderfully updated, of course, but in my dream it looked like it would have if it never changed from when I graduated in the 1980s until now, with weeds growing up in the cracks in the concrete and the peeling 1970s paint still spotting the stair railings. It was Back to School night or something like that, so I was getting a parking spot (deftly avoiding a collision with a student driver, and sensing no surprise at all when my car turned into a bicycle which I parked at the skewed bike rack). I looked for an unlocked door, trying several; the place seemed deserted. However I did find an outdoor shelter under the stairs where a group of teachers were gathering before the night’s events began, in a packed-in, anticipatory pep rally. I found a spot wedged in between teachers I didn’t recognize as mine. The speaker seemed to be a guest workshop instructor, improbably wearing a huge glittery animal costume. It had the feeling of a tent revival; in fact after I woke up I thought the rally leader’s performance reminded me of Steve Martin’s wonderfully unironic performance as Jonas Nightengale in Leap of Faith, stirring up the crowd in his sequin jacket where he knows it’s a little bit fake, but underneath it all, wants and needs it to be true. The teachers were shouting back snatches of poetry I didn’t know in an enthusiastic call and response, and everyone was feeling the energy. Preach it! Admitted! Yes. This. 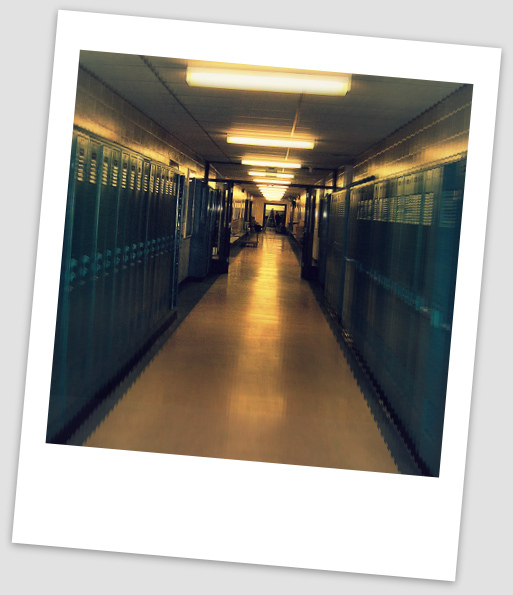 In the second scene, I was walking down the high school’s familiar halls, as if I were simultaneously listening to a podcast while reading the podcaster’s unfolding narrative in a blank book that I was holding in my hands. The podcaster was a creative parent who was helping her high-school age daughter who was reluctant about math, and she was getting her daughter to sing an impromptu made-up song (the kind that toddlers sing to themselves for hours on end) about her homework, to make sure she understood it. The song had a rocky start, “Math is a story about nothing…” but as the girl kept singing in that kind of unselfconscious free verse that very young children do, somewhere in the song a lightbulb went on, and she got it. The parent / educator explained, in this book I was holding, why this works as a pedagogical & parental strategy for real learning. In the dream this made perfect sense. In the daytime it seems utterly improbable that I could get anyone to try such an exercise, but it still seems like a rather brilliant (impractical, but smart) idea for checking understanding. So, if I’m reading the surreality report correctly, I was getting some key reminders from the (young) inner learner in my brain. 1) Go all in. Be present; Bring it every time. Break a leg (as they say in theater). Take your audience from their starting place to someplace entirely different and unforgettable; transport them and allow yourself permission to be awesome, maybe even a little sparkly, and to be transformed by the classroom, too. Let the magic of learning come through. Preach it. 2) Give students opportunities to express their own understanding in (literally) their own voice, even if it’s rambling or uncertain at the start. I’m never going to institute the Worcester State mic smackdown or sing-off (though that might be awesome), but still… I need to remember to let it be theirs, let their knowledge unfold organically without them “reading” from my script, and to remain open to the spontaneous and authentic and maybe even the absurd. Thanks, brain, I needed that at the start of a new semester. Tona, what a great dream/story and analysis! I’m busy thinking of teachers I can forward it to (my daughter being the first–I’d send it to my husband, but he probably needs a little bit of the yang that corresponds to this yin right now, so I’ll save it for later. And I hope to remember it when next I have an opportunity to stand in front of a class. Thanks!